Fertilizer is a key component of successful gardening, and using it appropriately will result in better quality crops. When we think of fertilizer, most of us think store-bought; rarely do we think to make it ourselves. While it’s true that the most “effective” fertilizers are manufactured using complicated chemical processes, it is interesting to note that some homemade fertilizers, if made and applied correctly, can be just as effective, and they won’t poison your soil. In this article, we will explore some simple ingredients, formulas, preparation and application techniques to help you harness the power of DIY fertilizer on your homestead. There’s a big difference between organic and inorganic fertilizer. Inorganic or chemical fertilizers are made of synthetic ingredients like nitrogen, phosphorus, and potassium by complex manufacturing and chemical processes. These fertilizers are usually highly concentrated and made mostly for commercial use. Organic fertilizers (also available in stores) are made of natural ingredients like animal feed and food scraps, and are less concentrated than inorganic ones. Organic fertilizer usually contains nitrogen but also has other elements that are beneficial to the soil and the organisms that live in it. Since chemical fertilizer is mass produced using synthetic ingredients, it’s cheaper than organic fertilizer. Cost is often a big factor when considering what fertilizer to use however, one should assess carefully the effect chemical fertilizer has on their soil. It could be costly and time consuming in the end to correct the secondary effects of prolonged use of chemical fertilizers. Using store-bought organic fertilizer could be the solution, but even though the packaging says organic, the true “organic nature” of the ingredients could sometimes be called into question. In an aim to remain competitive, some manufacturers of organic fertilizer may opt to purchase cheap raw materials that could be contaminated with chemicals. While the ingredients are organic, they are adulterated with inorganic and sometimes toxic matter, defeating the purpose of using organic fertilizer in the first place! Organic fertilizers release nutrients slowly to the plants, and therefore their use should be carefully timed to benefit from them. Using them too early or too late in the season could result in nutrients releasing at the wrong time, rending it useless to the plant. The choice between organic and inorganic can be tricky, and working knowledge of DIY fertilizer as an alternative could help you find the best solution for your homestead. Making your own fertilizer is an appealing solution when you consider that it can be made quite cheaply. In most cases, your main ingredients are either free or cost very little, since they’re common household items and kitchen scraps. DIY fertilizer requires very little technical knowledge. A good example of basic DIY fertilizer is the process of simply cutting up and burying banana peels into a planting hole. Being free from having to depend on commercial solutions is a worthy goal for any homesteader. While it is not easily achieved, one may decide to use a combination of DIY and commercial fertilizer until they get the hang of it. This is a great way to get rid of leftovers. Kitchen scraps are thrown away anyway, so why not put them to work in your garden? I do believe that the advantages of DIY fertilizer outweigh the disadvantages, but knowing what they are will help you make an informed decision. Since DIY fertilizer is made from very simple ingredients and techniques, the quality and nutritive values may be variable. Your ingredients could contain harmful bacteria and since there is no way for you to check if they do, you could possibly do more harm to your plants than good. Testing out your fertilizer on a few plants will help you verify its quality and effectiveness before using it on your whole garden. It may take some time for the nutrients in your DIY fertilizer to be broken down by the soil and used by your plants. Commercial fertilizer, especially in a chemical form, is already broken down into nutrients and ready to be absorbed by plants. Using some of the recipes in this guide to process your ingredients into a form that can be used by plants more easily will be helpful. Getting enough DIY fertilizer could be a challenge. For example, it may be impractical to supplement your crops with banana peels alone, as there are only so many of them lying around; how many bananas do you eat? It is therefore easy to run out of DIY fertilizer if it is relied upon as the sole provider of additional food for your plants. Trying to ration your DIY fertilizer will only lead to stunted growth and poor results. Fertilizer comprises of two main types of nutrients, macro and micro. Essential nutrients for your plants are macronutrients and therefore most fertilizer is made from these. Commercially produced fertilizer that is macronutrient based contains little or no micronutrients. Macronutrients can also be called primary nutrients. N- Nitrogen, responsible for the quick growth of foliage and leaves. P- Phosphorus, responsible for the development of the plant’s roots. K- Potassium, plays an important role in blossoming and the growth of fruits. Several mineral micronutrients, namely calcium, magnesium, and copper are also essential to plant growth even though they are required in far lesser quantities. This does not mean that they are any less important. The terms secondary nutrients and micronutrients can be used interchangeably. Non-mineral nutrients like hydrogen, oxygen and carbon are also essential to plant growth and are obtained by the plant through the leaves to aid in photosynthesis. Trace minerals like boron, copper, chloride, manganese, zinc and molybdenum are taken up by the plant from the soil through their roots. Once you have tested your soil you will be able to determine what minerals are lacking and therefore what is required of your fertilizer to improve the soil. Soil testing is an important preliminary step that will help make the decision of which DIY fertilizers to use and in what quantities. Without knowing what your soil lacks you will not be able to supplement it correctly. An excellent soil test kit can be found here. Not only will it tell you your soil pH level but provide information on sunlight levels and moisture, too. Alkaline soils are normally lacking in all the macronutrients as well as calcium, magnesium and sulfur. Look out for solutions in this guide that have these nutrients to improve or reduce the alkalinity of your soil if your soil test sample comes back with a value higher than 6.5. Acidic soils normally lack micronutrients and therefore their pH needs to be increased. Look out for the following microelements in this guide if your soil pH comes back with a figure lower than six: calcium, boron, copper, chloride, manganese, zinc and molybdenum. Neutral soil is normally preferred by most plants. In this state, it will require the least amount of fertilizer. Depending on the plant, adding some fertilizer in moderate amounts to neutral soil will result in excellent plants and yield. In this section, we will look at ssome of the things that can be added to your fertilizer. We will look at preparation methods, processing techniques and application. Banana peels are rich in potassium and therefore good for potassium loving plants like camellias, azaleas, and tomatoes. Bananas are also rich in phosphorus, calcium and other micronutrients. You can add bananas to your compost heap or bury them underneath your plants. For example, adding a banana peel to the bottom of your tomato-planting hole will allow it enough time to decompose when its nutrients are needed during the flowering and fruiting stage. A good tip here is to chop them up into small pieces before adding them to your soil or compost pile. This will help them decompose faster. You can make a more concentrated liquid form of this fertilizer. Your plants will love it as its nutrients are easily absorbed. The following recipe will make a perfect liquid banana-based fertilizer. Chop 5 or 6 banana peels per 1 liter of fertilizer. Boil them in a pot for about 15 minutes and use a strainer to separate the peels from the liquid. Use peels directly in your garden or add them to your compost heap. Mix 2 liters of water with 1 liter of banana tea solution. Diluting your solution will reduce its potency. An undiluted solution can cause damage to your plant. Alternatively, simply chop your banana peels, place them in a jar and fill the jar with water. Leave them to sit for 48 hours before straining them and using your leftover banana peels in the garden or on your compost pile. The link below will explain this process in detail. A good-sized steel strainer can be purchased here. If you have many banana peels, then making powder is a good idea. When made into powder banana peel fertilizer will store for a longer period and will not lose its nutritional value or ferment. To make this fertilizer, chop up 15 to 20 banana peels and place them in a dehydrator or on dehydration sheets. If you do not have a dehydrator, simply place them in the oven on the lowest heat setting. Leave the door open while you do this. You will need to be patient as the oven method can take a very long time. You can also dry them in the microwave. Once your bananas are dry simply grind them to make a fine powder and store in an airtight container for future use. You can purchase an inexpensive dehydrator here. Dehydrating sheets can also be purchased here. Use the banana liquid fertilizer to water your plants. Simply place the solution into your watering can and fill with water and water over your plants. Mix one tablespoon into a 32 oz (1 liter) spray bottle and use as a foliage spray. Make sure to use it in the late afternoon. If applied when the sun is at full strength it could burn your plants. Banana powder fertilizer can also be used on the surface by placing 1 tablespoon a few inches away from your plant stem. You can also place the same amount in a planting hole. Cover the powder with a few inches of soil before placing your seedling in the hole to avoid it being burned. Since banana peel fertilizer contains a high amount of potassium, too much of it can be harmful to your plants. It can deplete magnesium form the soil if over applied. To reduce the possibility of this, mix your powder with Epson salts. This is discussed later in the recipes section. Getting high-quality fruit or flowers is possible with this fertilizer. Banana peels will also promote the development of strong roots. This sugary addition to your garden will make your plants healthier by feeding the microorganisms that live in the soil. It provides the tiny microbes with the required energy to improve the quality of your soil. Microbes in your soil, like bacteria, will thrive on the sugar that is contained in molasses. This is a good source of carbohydrates for these microbes. Remember to use only unsulfured molasses. The sulfur in molasses is meant to kill microbes while the aim of using this as a fertilizer is to feed them. Simply add 3 tablespoons of molasses to 1 gallon of water and stir well to make this fertilizer. Water your plants with this mix using 2 cups for small plants, 4 for medium ones and 6 for large plants. Molasses is good for the microbes in your soil. It will increase the bacteria that microbes feed on and this, in turn, creates more food for your plants to grow. Molasses is a good chelating agent, meaning it helps to turn other minerals in the soil into a state that is more usable by the plant. You can use molasses in combination with other ingredients that are listed in this guide. You might never think to use matches as a fertilizer, but lo and behold, you can. While it may be deemed impractical, as it is hard to get enough matches to fertilize a whole garden, one never knows when this info may come in handy. Bury matchbox next to plant, or place box in water and leave overnight to dissolve the nutrients into the water, making a solution. All you need to do is to bury a matchbox next to your plant or if you decide to soak it overnight, you can then pour the solution around your plant. If you would like to save on matchsticks, bury 10 sticks around each plant headfirst approximately 2 to 3 inches from the stem. Ensure that your match does not come into direct contact with your stem and remember to water the plants well. Matches contain phosphorus, sulfur, and magnesium. It will help increase the acidity of the soil and is very good for plants like tomatoes and peppers. A surprising addition to this list is weeds. They’re packed with important nutrients for your plants and turning them into fertilizer is a great way to get rid of them (and get revenge for having to pull them)! Varieties of weeds to consider are burdock, horsetail, and chickweed. You can either work your weeds into a compost heap or make a liquid solution. Place weeds into a 5-gallon bucket. Place a brick over them to ensure that they remain submerged when you add water. For every 1 pound of weeds, add 8 cups of water. Stir the mix weekly, once a week for 5 weeks. Make sure during the process that your bucket is covered with an airtight lid. During the course of the 5 weeks, be prepared for a strong odor when you crack the seal on the lid. To separate the liquid from the weeds, strain into another bucket using cheesecloth. Be cautious not to get any of it on your clothes, as it will stain. One must also be cautious not to use toxic plants like poison ivy or poison oak. Another simple method is to simply place your weeds inside a sack that is permeable. Cover the sack with enough water so that it is submerged. Let it sit in the water for 4 weeks and use the solution as instructed above. Dilute with fresh water to ensure that it does not burn your plants. For every cup of fertilizer, dilute with 10 cups of water. This can be used both as a foliage spray and in a watering can. Start making this liquid fertilizer early in the season to ensure you have enough supply of this super fertilizer for all your plants. Most weeds have long taproots that take-up many beneficial minerals from the soil. Weeds like dandelion are high in potassium and other trace minerals, while other varieties contain nitrogen and phosphorus. You have the added advantage of removing weeds from where you do not want them and using them to make fertilizer. Human urine is packed with so many beneficial nutrients that a debate on whether it can replace chemical fertilizer has ensued. The composition of urine is 11-2-1 meaning it is very rich in nitrogen. The only exception to using this method is the body this urine is coming from must be free from disease and viruses. This makes human urine a controversial fertilizer unless you are applying on your own plants solely for your own consumption! By only using mid-flow urine, you can lessen the chance of harvesting contaminated urine. Mid-flow urine is collected by peeing the first few seconds into the toilet and then the remaining urine into your collection jar. Be sure to use gloves and wash your hands before and after collection and use of your urine. If one is on any medication, they should desist from using urine as a fertilizer. An extra precaution of testing the urine may be taken. Since there are so many things to test for, a comprehensive laboratory test would be the only worthwhile route here. Mix one cup of urine with 6 to 8 cups of water. For small plants, use 2 cups of the urine solution for medium plants, and for large plants 6 cups. Urine surprisingly has an extremely high amount of nitrogen, phosphorus, and potassium, often rivaling some commercial fertilizers that cost an arm and a leg. There are also potential savings in the amount of freshwater used to flush the toilet as well as well as the cost of treating urine water for re-use. The risk of bacteria and diseases from it sometimes outweighs the benefits of urine, as it is very hard to know whose urine is free from viruses and disease. Even if tests are carried out on the urine samples, this could be costly and time consuming. The effectiveness of good urine fertilizer also depends on the notion that the body it comes from remains disease free throughout the fertilization process lasting several weeks. Grass clippings are in abundance all year round and therefore there is rarely a shortage of them. Ensuring that you keep your blades sharp will help you collect high-quality grass clippings and cause less damage to your lawn. Collect a 5-gallon bucket full of clippings and add water to it. Let it sit for 2 days. Sieve the solution to separate fertilizer from residue clippings. Mix the fertilizer to the ratio of between 1:8 and 1:10 with water. You can also add your grass clipping to your compost pile. The following rules will help you make better compost. Dry your clippings for a couple of days before adding them to the compost heap. This will help them decompose faster. Using a compost aerator tool will improve the quality of the grass clipping compost pile. Ensure you use thin layers of grass clippings to help with aeration. Start with a layer of dried material at the bottom of your compost pile to aid in this. Apply 2 cups to small plants, 4 to medium and 6 to the base of large plants. You can also work few handfuls of grass clipping directly into your soil. If your area is not very windy, you can use grass clippings as mulch. As you water your plants, it will begin to decompose and infuse nitrogen into your garden. High in nitrogen and other trace elements, grass clippings will give your nitrogen loving plants a good boost. If used properly they can provide up to 40% of your solid nutrient requirements every year. This amounts to big savings on your fertilizer budget. Like its name, bone meal is simply ground animal bones and can be made quite easily. Bone meal should never be added to soil with a pH of more than 7 as it will be useless. Collect bones from your food leftovers. Make sure your bones are brittle. Cook them in a crockpot for a few days to soften them. Boiling your bones on the stove will also work. Dry the bones in the microwave on high for 5 minutes or by roasting them for 30 minutes at 425°F. When your bones are ready, they should be brittle. You should be able to break them with your bare hands if they are ready to be crushed. Placing them inside a sack and hammering them will crush them into powder. Sieve your bones to get rid of particles that have not been crushed. Put these back in the sack and crush them until most of your bones are turned into powder. For every 100 square feet of garden use 8-10 pounds of bone meal. Collecting bones over a long period will help you provide sufficient bone meal for your whole garden. Placing 2 to 3 tablespoons at the bottom of the planting hole will give your plants a good start. Since it is a slow releasing fertilizer, the benefits will be spread over a period of 10 to 12 weeks. Applying bone meal once every 16 weeks will provide sufficient phosphorus for your plants. Comparing your homemade bone meal to the one you would purchase will give you an idea of how well you have done. You can purchase some organic bone meal in the link below. Mark the plants that you fertilize with your homemade bone meal and the one your purchase and compare results. Your average bone meal will be a 3-15-0 mix meaning it is high in phosphorus. This phosphorus will aid in a well-developed root system, flowering and fruit development. Beware that unprocessed bones added to your garden or compost pile will attract pests like dogs and rodents where bonemeal does not. Using bone meal with other fertilizers mentioned in this guide high in nitrogen like grass clippings and urine will give you a well-balanced fertilizer for your plants. Bone meal also increases the microbes in the soil that help in plant development and growth. Seaweed can be used fresh or dry and does not need to be washed to rid it of its salt content. One needs to ensure they harvest in areas where they judge the least amount of contamination of seawater could have taken place. If you can get seaweed easily, making this fertilizer yourself will save you up to $20 per 1-liter bottle of organic seaweed from the store. Take about 1 bucket of seaweed and chop it up. Add water to this and let it sit for 3 weeks leaving the container cover partially open. In colder months you may need to let your seaweed sit in water for up to 12 weeks. You can also place seaweed into an onion sack and submerge this into a bucket of water for the same amount of time. You can throw the remaining seaweed onto your compost pile. Ensure you check beforehand if there are laws in your state on the harvesting of seaweed. Ascorbic acid is added to commercial seaweed fertilizer to help it store better. You can store yours in glass jars with the lids slightly open. Use it as soon as you can to make the most of its high nutritional value. Experiment by applying a varying amount of seaweed to different sections of your garden. Pour two 300ml cups for small plants, and 4 to 6 cup for medium to large plants, respectively. You can also apply seaweed directly to your garden without turning it into tea. Place a handful into each planting hole or for plants such as potatoes bury some before planting. Simply spread seaweed over your garden and work it into the soil with a garden hoe. You can also place it over your garden in the winter and let it naturally break down. The trace and secondary nutrients found in seaweed will benefit most of your plants. It contains 60 trace elements and this definitely makes up for is lack of macronutrients. Seaweed will correct soil imbalances by aiding bacteria that produce nitrogen to return to your soil. It also contains properties that help fight fungal diseases in your plants. It is a deterrent to animals in the garden. Most do not like the smell and they often are tangled in it when wet or scratched when dry. Powdered milk is an excellent calcium-based fertilizer. Calcium helps in building strong cell walls, which in turn help in the further transportation of other essential nutrients. Calcium loving plants like tomatoes will benefit from this fertilizer. No preparation is needed. Since it’s already powder, it’s easily absorbed by plants. Sprinkle half a cup of powdered milk per plant every two weeks. If you decide to apply your milk to the plants using a spray bottle, ensure that it has been well dissolved as it will otherwise easily clog your sprayer. Calcium loving plants will benefit from powdered milk. Powdered milk is a cheap source of calcium. Powdered milk has the advantage of being a fungicide as well as a fertilizer. It can correct an acid imbalance in the soil. Corn gluten meal is a by-product of cornstarch production. It can be used as both fertilizer and herbicide to prevent weeds. It is excellent for your plants as well as your lawn. Besides buying corn gluten, no preparation is needed. Simply spread a thin layer of the meal over your garden and work into the soil with a hoe or rake if the soil has already been tilled. Spread 30-40lbs per 1000 square feet of garden. Do this twice a year for best results. The first application should be early in the spring and the second late in the summer when temperatures have fallen. Apart from the fact that corn gluten meal helps in the control of weeds, it also contains nitrogen, which will give your plants a steady supply of this important macro element. Take note that since corn gluten is also animal feed it may be a little expensive. It could also potentially attract pests to your garden. Eggshells are packed with calcium and are 93% calcium carbonate. They play the same role as lime in the soil, which neutralizes acidic soil. Cell walls are the equivalent of bones in plants and calcium will help to strengthen these. Wash your eggshells with water and place them in the sun until they are dry. Crush them into fine pieces using a hammer or mortar and pestle. You can also make eggshell powder by blending them well. Work your eggshells into the soil around your plants or mix them with potting soil. You can also add these eggshells to the bottom of your planting holes. Since it takes several months for your shells to break down it is recommended to apply them to your soil in early fall. You can also add eggshells to your compost pile together with dry material like old leaves. You can also use eggshells, as planting trays that will give your seedlings the added benefit of calcium from germination. Simply sterilize your eggshells by boiling them or placing them in the oven at 200°F for a few minutes. Add potting soil to the eggshells and plant your seeds in them. When your seedlings sprout, plant your eggshells directly in the soil and bury them with the plant above the surface of the soil. As the plant grows and the eggshell breaks down it will release the much-needed calcium into the soil and make it readily available for your plant. Simply place your eggshells in a glass jar for 4 weeks to allow the calcium to leach into the water. Dilute 1 cup of this solution to 1 gallon of water and apply either using a watering can or spray bottle. The calcium in eggshells will help fight off diseases like late blight and is exceptionally helpful in plants that are affected by this ailment, like spinach and tomatoes. They encourage a strong cellular structure and aid in the transportation of other vital nutrients to the whole of your plant. Eggshells will also keep slimy bugs like snails and slugs from your plants. Coffee grounds are said to have some nitrogen and therefore be beneficial to your soil. One thing most people do not know is that you can get them in abundance free at a coffee shop like star bucks if you ask for them. Store your coffee grounds in a countertop composter like this one. Either you can apply the coffee directly to your plants or you can make a liquid solution, which is absorbed faster by the plant. To do this, take 6-8 cups of ground coffee and add to 5 gallons of water to it. Let this sit for 3 days, sieve with cheesecloth and then pour this around your plants. If you decide to add coffee grounds as they are, place them on a newspaper and leave them out in the sun to dry. Ensure they are completely dry before sprinkling them around your plants. Since coffee grounds are acidic, adding them to a compost pile before application can neutralize the acid content. You can also add generous amounts of coffee grounds to your worm bin. Worms love coffee grounds and investing in a bin like this one is beneficial. Either scatter your grounds around the plant before watering or pour the liquid solution around the desired plants. Apply 1 tablespoon of coffee grounds per plant in your garden every week until your plants show visible signs of improvement. Your roses, tomatoes, and blueberries will benefit from the nitrogen that coffee grounds offer. Coffee grounds help raise the acidity of the soil and will help improve alkaline soil. Further benefits to plants will be the absence of snails and slugs when coffee grounds are used. Epsom salt is a salt made up of sulfate and magnesium. It is another DIY fertilizer you can certainly make use of without much hassle. Water your plants with this solution once every 2 to 4 weeks. Apply the solution with a watering can or spray bottle. Vegetable seedlings will benefit from a tablespoon of Epson salt placed next to them. For roses spray when your first leaves appear in the spring and later on when they begin to blossom. Use a tablespoon of salt for every foot of height for your plants. Houseplants, tomatoes, and peppers will benefit from the magnesium that Epson salts contain. Epson salt is also very good for your lawn. Magnesium in the Epson salt helps to give germinating seeds a good kick-start while the sulfur aids in the creation of chlorophyll and will promote the efficient use of other macronutrients by plants like nitrogen. A great way to dispose of ash from your fireplace is by using it in your garden. Since it is rich in potash, it will help maintain the plant’s water balance as well as aid in the transportation of other nutrients around the plant. An important point to note is not to use any lighter fluid as this will adversely affect your plants. Hardwood ashes are ideal and avoid putting charcoal into your soil. Sift your wood ash to get rid of any wood particles that are still left in it. You can add wood ash to your compost heap. Make sure not to add too much as it will raise the pH of the compost pile and affect the worms that live in it. Working with wood ash is a dirty, dusty job. Covering your mouth and nose with a dust mask and wear gloves. Apply your wood ash to the soil at the end of the summer for it to have enough to time to decompose. Warning – Never combine the use of wood ash with nitrogen fertilizers, as this will create ammonia gas! For every 100 square feet of garden, you can use 5lb of ashes. Mix this into your soil with a hoe or with a rake if the soil is already tilled. Be careful not to use wood ash on acid loving plants or potatoes as this could lead to the disease potato scab. There really is no point in using potassium in soils that have a PH of over 7.5 as these are highly alkaline and potassium will only raise it further. If you use lime in conjunction with wood ash ensure that your application does not exceed a combined weight of 20 pounds per 1000 square feet of garden. Wood ash has potassium and calcium that helps raise the pH of your soil. Be sure not to use it for plants that thrive in acidic soils like blueberries. Plants like peas and beans will generally benefit very well from potassium. Vinegar is very good for helping to lower the pH of your soil from being alkaline to neutral. Use vinegar on your plants in the late afternoon as the hot sun on the leaves could burn them. Simply mix one gallon of water per tablespoon of vinegar. Alternatively, you can add sugar to the mix by adding one tablespoon of sugar and vinegar per gallon of water. The glucose will give your plants extra energy and vigor. Apply this to your plants every 3 months. For potted plants add 2 tablespoons of apple cider vinegar and water your plants with this mixture using a watering can or spray bottle. Your plants that benefit from acid like tomatoes and houseplants will thrive using this solution. Azaleas, blueberries, and gardenias will also benefit. One should be careful when using a fertilizer like vinegar because it can easily harm your plants, as it is easy to lower your pH beyond what is needed. Aquarium water is easily had by people with freshwater fish tanks. It should be noted that saltwater should not be used as fertilizer. The decaying food and fish waste make an excellent source of many macro and micronutrients. Fish like goldfish generally produce a lot of waste so if you are debating whether to buy a fish tank consider that it can also do wonders for your plants! No preparation needed. Avoid using aquarium water if you have added any medication or chemicals to it as this could be damaging to your plants. Use the water from your tank for routine watering. Using 2 cups for small plants, 4 for medium-sized plants and 6 for large plants. For water that has been in your tank for a long time and considered dirty slightly dilute it with water as it may be too concentrated for your plants. Your soil and in turn plants will certainly get a boost from the excretion of the fish concentrated in the water found in freshwater fish tanks. Fish emulsion is not only a great fertilizer but has many other added benefits to your soil. The composition of fertilizer is 5-1-1 making it a good source of nitrogen. Be warned, the odor is terrible. Keep all your leftover fish heads, bones, blood and scales for as long a period as possible. To prevent spoilage freeze it in readiness for your spring gardening. You can either blend your frozen fish or use as is, but remember to add 2 parts of water for every 1 part of fish. Place the mix in a sunny area in an airtight container. Keep the mix far from your house, as the smell will be positively ferocious. Hold your nose and stir the mix every 2 days for the next 2 weeks. In the same way, you would make bone meal; make sure your leftover fish heads and bones are completely dry before crushing or blending them into a fine powder. For every square foot of garden apply 3 gallons of your fish emulsion mix. Half a gallon of this diluted mix can be applied to each plant depending on the size. You can also spray fish emulsion onto the leaves of your plants. One tablespoon into a gallon of water will suffice. Spray this on your plant’s leaves and water well after application. Plants like broccoli and beetroot will benefit from this fertilizer that is rich in all three macro elements. The homemade fish emulsion also contains microorganisms that are beneficial to the soil. It has the benefit of being very mild acting and therefore you are unlikely to damage your plants. Gelatin is a good source of nitrogen for your plants, cheap and readily available in bulk. Start by dissolving gelatin in water. You can do this by preferably adding 2 ½ to 3 cups water per packet. Make sure you use unflavored gelatin. To help it mix and better dissolve pour the contents into a cup of hot water before adding additional cups. Water your plants with this mix using 2 cups for small plants, 4 for medium, and 6 for large plants respectively. Unlike other natural sources of nitrogen, it is hard for you to feed your plants too much nitrogen through gelatin. You also do not run the risk of burning your plants with it. Gelatin has the benefit of infusing nitrogen into your soil slowly over a longer period of time that commercial fertilizers do not. Any list of DIY fertilizers can never be complete without talking about compost. Compost is the most commonly used DIY fertilizer as it combines many of the individual items mentioned above into one powerful combo. Nitrogen- Found in green fresh matter like leaves and other waste like banana peels. Carbon- Found in dried and dead leaves and branches. Air and Water- Instrumental in activating your compost. It also ensures that the bacteria and organisms responsible for decomposition are able to survive. Your compost pile needs to be hot enough to kill weed, seeds and other unwanted bacteria, but should not stay so long so as that it begins to rot and lose its nutrients. Take green leaves, grass clippings, and other green matter and place them at the bottom of your compost heap. Other methods will recommend starting with dry matter to improve aeration. Add a layer of manure or food scraps to your pile. Spread another layer of green material and sprinkle some water over it. Make sure not to make your pile too wet as it will not decompose. Check on your compost pile every few days and ensure that it is kept moist by sprinkling water over it. To check if your compost is decomposing, feel the layers beneath, they should be warm to hot. Good compost is a rich dark color. 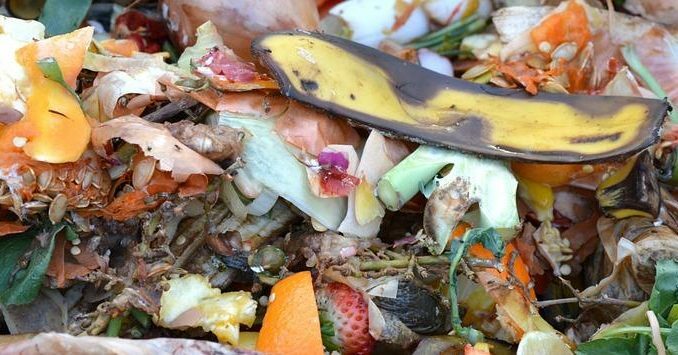 By making compost, you can make good use of food scraps like meat, without It attracting pests to your garden. For a more concentrated solution, you can turn your compost into tea. This tea can be applied to your plants as either a foliage spray or simply watering the ground with it. To make your liquid compost fertilizer fill a 5-gallon bucket ¾ full and add water leaving only enough room to stir. Stir this every day for 4 days. Use a porous cloth to strain the liquid and separate it from the remaining compost. Return that compost to the pile or spread it in your garden. It should be noted that the concentrated liquid mix is quite strong and you should therefore, mix one part of this liquid fertilizer base with 10 parts of water. Animal manure is a great source of fertilizer especially considering that if you live near farms it is readily available. It is both organic and cheap. Using manure from plant-eating animals like cows, goats, sheep, and fish is always the best. A word of caution when using animal manure: it needs to be either dry or composted well because it could contain seeds from the plants the animal was eating. This could result in an enormous amount of weeds in your garden. Use manure that is at least 6 months old if you do not wish to compost it. Avoid using manure from flesh-eating animals like dogs and cats as it could contain harmful parasites that are unwanted in your garden. Using manure is quite simple, as all you have to do is work about ½ an inch worth of it into your soil. You need to be careful when using it on plants because too much of it could burn your them in a similar way to what commercial fertilizer would do if too much were applied too close to the stem. Add manure to your garden late in the winter or the beginning of fall so that it would have decomposed well in time for your spring planting. Allowing your manure to sit in your garden for several weeks will allow its nutrients to be released into the soil. A concentrated liquid fertilizer can also be made from animal manure by following the steps explained below. Put one shovel of manure into a burlap sack or pillow. Put this in a 5-gallon bucket and fill it with water. Leave the mixture in water for about 14 days and then remove the manure. You can simply throw the leftover manure into your garden. Before application, ensure that your tea is diluted with an equal amount of water. Apply this to the soil around your plants by pouring 2 cups for small plants, 4 for medium and 6 for large. Combining all the benefits of coffee grounds, eggshells and banana peels can give you an amazing DIY fertilizer. Using your banana peels in this way is easier than using them on in the compost heap, as they take considerably longer to decompose. All you really need to do is blend the three in a blender until it a well-mixed slurry. The potassium from bananas, calcium from eggshells and nitrogen from the coffee blend certainly makes a great fertilizer for plants that are acid-loving like tomatoes. Dilute your mix with water so it can easily be absorbed by the soil and applied to your garden. Here is a great practical video on how to do the above. It includes avocado peels, but you can omit them if you want. Another nutrient packed DIY fertilizer that will give you the benefit of both micro and micronutrients in your soil is a combination of molasses, alfalfa meal, and Epsom salt. To make this fertilizer dissolve one cup of alfalfa meal and Epsom salts each into 4 to 5 gallons of water. Add a tablespoon of blackstrap molasses to this. Not only will this fertilizer feed beneficial bacteria and organisms that live in the soil, it will also give your plants extra growing strength. This is a simple recipe certain to give you amazing benefits for your plants. This is one of the simplest yet most effective DIY fertilizers as it uses simple easily accessible ingredients. The use of urine though may limit its use unless you grow strictly for personal consumption and even then, caution should be taken. Mix ¼ cup of Epson salts, 2 cups of woods ash and 2 cups of urine in a 5-gallon bucket. Fill your bucket to about half way with grass clippings and other green matter like leaves or fresh corn stalks. Fill your bucket with water and let the mix sit for 2 to 3 days. Any more than this will cause nutrients to begin degrading. Strain the content by using cheesecloth and before application mix the fertilizer base with an equal amount of water. Make sure you use this solution within 2 days. Put all these ingredients into a milk jar and fill with water. Let the solution sit for about 2 hours. Apply this to your plants using one cup for small plants, 2 for medium ones and 4 for large plants. Caution should be taken when working with some of the ingredients found in the recipe below. Most of the material we have dealt with has been natural, mostly harmless ingredients, but the recipe below will require you to work with some chemicals. Proper protective clothing must be used while working with this recipe. Mix all of the above ingredients well and apply a between 1 to 2 tablespoons to your plants that require a good helping of fertilizer. You will enjoy all the benefits of a commercial fertilizer and the added micronutrients that the natural ingredients possess. DIY fertilizer not only makes for a great homestead project but also promotes the general well-being of the environment. It is important to remember that DIY fertilizer is not always easy to get right on the first attempt. Making sure that your ingredients, especially the natural ones, are free from any unwanted chemicals and contaminants will guarantee success. A true homesteader is only as good as his ability to thrive without the use of commercial products. While some DIY fertilizers may not be easy for you to create at, it is best to give a few of the recommendations above a try and see what Works best for your plants and soil. Share some of your thoughts, and maybe some fertilizer recipes you may know below! Can Armed Teachers Save Students’ Lives? OUTSTANDING article!! I compost everything out of my kitchen…uncooked veggies and fruit that is. I add spent hay from the chicken yard/coop as well as the accumulated chicken feces. I have a three compartment compost bin system and keep turning the raw material in the two bins and store completed compost in the third. I’ve used this mix on my garden by digging the holes for such as tomato plants with a post hole digger for say 6″ deep. I fill the hole with the compost and plant the seedlings. The plants look like they want to scream coming out of the ground.